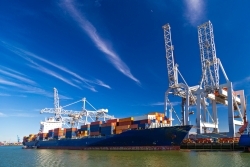 Maritime businesses, like any business in the transportation industry, have to tackle a unique set of challenges in order to stay profitable. Rising fuel costs, liability risks, and security issues all play a role in making managing finances in this industry especially demanding. Enlist the assistance of a Fort Lauderdale, FL CPA firm that specializes in maritime accounting, bookkeeping and tax services. At Milbery & Kesselman, CPAs, LLC we'll work hard to help you minimize expenses and keep a close eye on their resources. We offer customized reporting so you can keep track of where your money is going and provide suggestions on how to improve internal controls. With our financial supervision, your business will manage cash flow more effectively, realize higher profits and benefit from simplified accounting procedures. Filing your taxes and staying in compliance is also easier when you work with us. We understand how tax laws and regulations impact the maritime industry because we've worked with many other similar businesses like boat charters, marinas, boat yards, and ferry services. Whether your business operates locally or is facing multi-state tax issues, we'll make sure your tax returns are filed correctly and on time, every time. Call us today at 954-583-3223, ext. 101 and ask for Jack Milbery or schedule a free initial consultation to learn more about our maritime industry accounting and tax services.